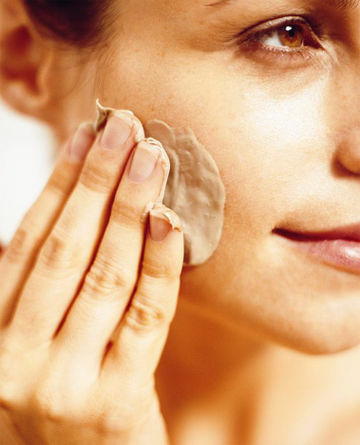 Say goodbye to winter skin woes for good. The cold days are here, the winds are whipping, and the sun seems to be in hibernation. Harsh winter weather can do a number on your skin — not to mention what pregnancy contributes to the equation. Here are tips and tools you need to keep your beautiful glow. "High winds and low humidity can make for a bad case of winter itch," says Andrew Kaufman, M.D., a dermatologist and dermatologic surgeon in Thousand Oaks, Calif. Factor in the itchiness that comes from an expanding belly (the fracturing of the skin's collagen bonds can cause inflammation and, consequently, itching), and you're dealing with some seriously irritating skin problems. Simple Solution: A rich balm or oil, applied three to four times a day. Ask your doctor about prescription itch reducers if an over-the-counter cream doesn't work within a week or two. You used to count on the cold weather to give you a break from breakouts, but thanks to your hormones, this winter could be unseasonably oily. And with warm weather ahead, your skin could be in for its slickest season yet. Simple Solution: While many doctors recommend that you stay away from some of the traditional anti-acne treatments (benzoyl peroxide, salicylic acid), all experts insist that you stay away from vitamin A derivatives (Retin A, Renova, Accutane, Retinols), as this group of ingredients has been linked to birth defects. But alpha hydroxy acids (AHAs), particularly glycolic acids, get the green light from all but the most conservative docs. "For women whose skin gets greasier during pregnancy — and it's a flip of the coin which way a woman will go — I find glycolic acids to be a lifesaver," says David E. Bank, a Mount Kisco, N.Y., dermatologist. Incorporate these naturally derived, exfoliating skin clearers into your daily routine by choosing an AHA-based wash or toner. Never have your feet taken such a beating. They're most likely tired, swollen beyond recognition and — with winter's skin-parching air — none too soft. Simple Solution: While we're awfully impressed if you can still reach your feet, this is the time to have someone else tend to your tootsies. Get daddy-to-be (or a good friend) to work a revitalizing lotion into your legs and feet. Or give yourself the gift of a professional pedicure. But keep these advisories in mind: If the nail technician incorporates reflexology into the service, make sure she knows which areas of the feet to avoid, says Peggy Wynne Borgman, director of Preston Wynne Spa in Saratoga, Calif., and a spa.com advisory board member; stimulating certain pressure points has been reputed to induce labor. Also be aware that some essential oils may cause low blood pressure during pregnancy, so check with your doctor before incorporating any of them into foot or other treatments. The dry air and cranked-up radiator have sapped the natural, protective oils right out of your skin. Simple Solution: Take advantage of the indoors with a soothing shower or soak. "Keep your showers lukewarm and 10 minutes or shorter," recommends Kaufman. And though we probably don't need to tell you to avoid hot baths during pregnancy (we assume your obstetrician-gynecologist did the honors), we'll remind you just in case: Aside from robbing your skin of moisture, a steamy soak may cause you and, more important, your baby, to overheat. On the other hand, a tub-full of lukewarm, oil-enhanced water is a great way to rehydrate your skin. But since the oil can make the bathtub slippery, be extremely careful getting in and out. As if your other skin complaints weren't enough, your cold-weather pallor has become the perfect canvas for the new, pregnancy-induced dark splotches on your face. Simple Solution: Think summer. While sunscreen and self-tanner may not be on your mental radar screen just yet, they should be. "Melasma [the mask of pregnancy] is exacerbated by sun exposure," says Kaufman. The sun you're exposed to in the cooler months can do as much damage as those warm-weather rays, so cover up every time you leave the house. If your goal is to mask the mask, try using a self-tanner (a product that's generally considered safe during pregnancy because the dyeing agent affects only the top few layers of skin). Apply the faux glow all over your face, ears and neck — not just to the areas where your skin is lighter — to even out your complexion. Although skin lighteners may seem like a tempting option, don't use them while you're pregnant or nursing. If, however, the mask persists for three months or longer post nursing, give whiteners a whirl.